The Victorian Council of Social Service (VCOSS) has produced three Partnership in Practice Guides that examine the three stages of partnering: preparing to partner, commencing the partnership, and sustaining the partnership. These tools are available on survey monkey: please contact the PCP for access. 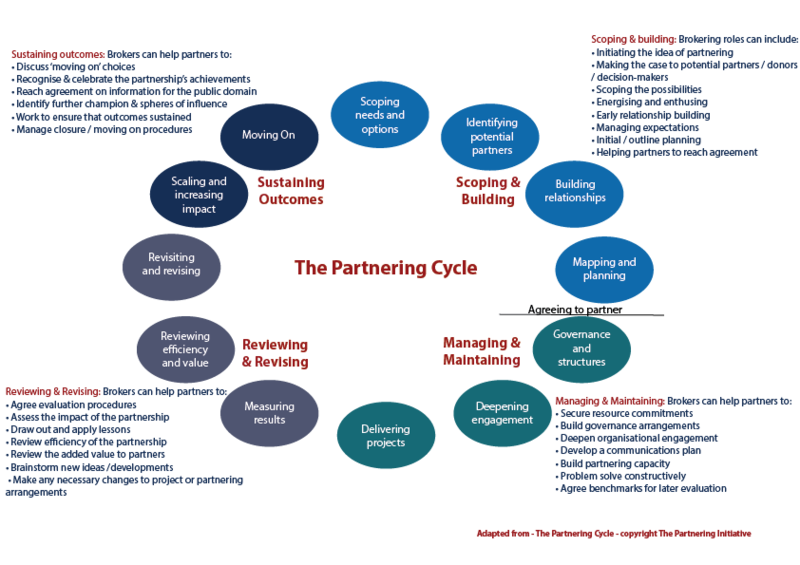 The Partnership Broker Association training is designed around The Partnering Cycle which aims to achieve Equity, Transparency, and Mutual Benefit (E, T, M) within partnerships. These principles lead to respect, trust and engagement between partner agencies. For further information and for training dates, please visit the Partnership Brokers Association website.